While some might perceive the dystopian genre as a sign of pessimism and frustration, Ada Palmer, the author of all but one of the science-fiction quartet Terra Ignota, sees it as anything but that. The winner of the John W Campbell Award For Best New Writer last year described her works as a mixture of utopia and dystopia. Set in the 25th century, the Palmerian world is one in which nation states no longer exist, in which people get to choose to belong to one of seven "hives" or to be "hiveless." For Palmer, "people are writing dystopian fiction that's about victory and rebellion, saying in a much darker world that we can make it better. 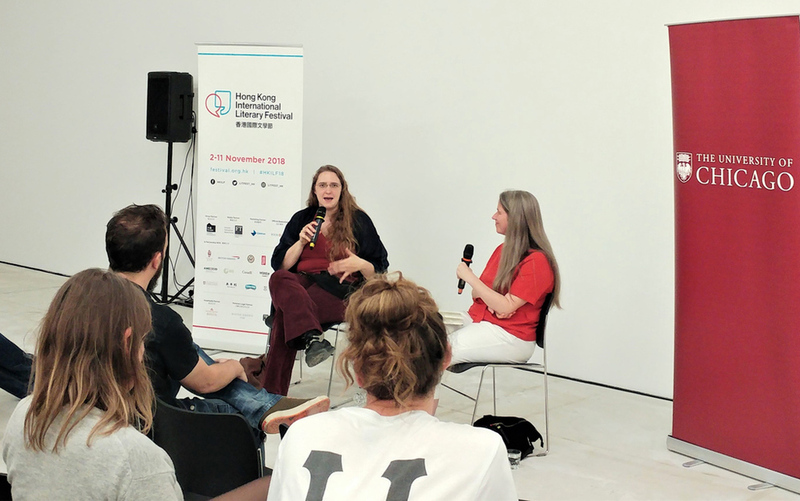 "I think that's a very good sign to see a lot of people interested in dystopian societies because that means they're interested in action, in changes, in the fact that the way could be better than it is and we have to take action to get there." The world-building behind this is much more than creating a setting where there are aerial cars with different kinds of technology flying about. She said it is not only imagining and building a world that is different from ours but also thinking about how people are influenced by the world around us. "It is to go to the second level: what will the world be like if we have flying cars that can move around quickly," she said. "So therefore the population of the entire world mixes more, the cultural effects of globalization moves faster, everyone is mixing so much that everybody has the experience growing up as a minority surrounded by other minorities." 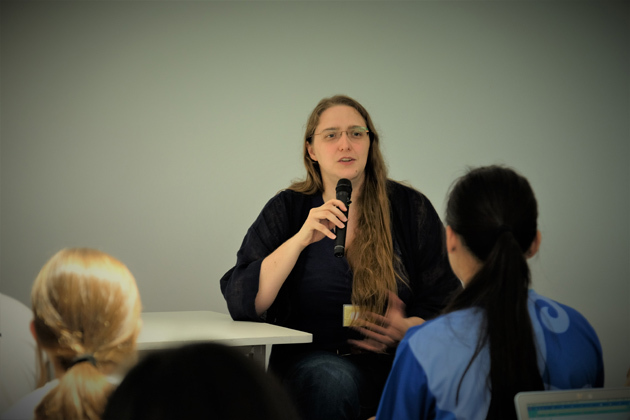 Palmer, an associate professor of history at the University of Chicago, recently visited Hong Kong for the International Literary Festival and went to schools to give talks on the creative process behind dystopian science fiction novels. She was impressed by questions, which were in-depth and delved into the Palmerian world order. However, she noted that students were reluctant to respond to invitations to ask questions, with almost all queries accompanied by nervous expressions. "There was a long pause before the first student was brave enough to ask a question and there was a big murmur from other students when somebody did," she said, adding that it should not be regarded as an act of courage to speak up and ask a question. People have often pointed the finger at Hong Kong's examination-oriented education system as the culprit for a lack of creativity. But Palmer thinks it is studying for exams in a non-creative way. It is the focus on memorization and not having room for debate, action and speech which hinders creativity. So embracing more creativity in studying for exams is the key. Palmer suggested teachers change the way they give lessons. Instead of sitting and listening passively in traditional classrooms, she often invites her students to debate and role-play, which is to assign them to play historical figures and negotiate with each other in her history courses like the Italian Renaissance. "What they decided to do is slightly different from what really happened and we talked about the differences,' she said. "They learn the material better than I am just lecturing because it's a game and they wanna win, so they memorize it just as well as they memorize Pokemon names, right?" She added: "In the end, they learn the material that would be on the text. They've learned all the names, dates and geography. But they also get to practice giving voice to things, embodying characters, and stepping out of their modern mindset."